Keep a freshly pressed look all day without ironing. Our pure cotton twill has the soft hand you expect from such a fine natural fiber; our patented Wrinkle-Free process results in a classic cotton shirt that starts out wrinkle free and continues to shed wrinkles throughout the day. And the special soil-release finish makes this shirt a perfect travel companion. 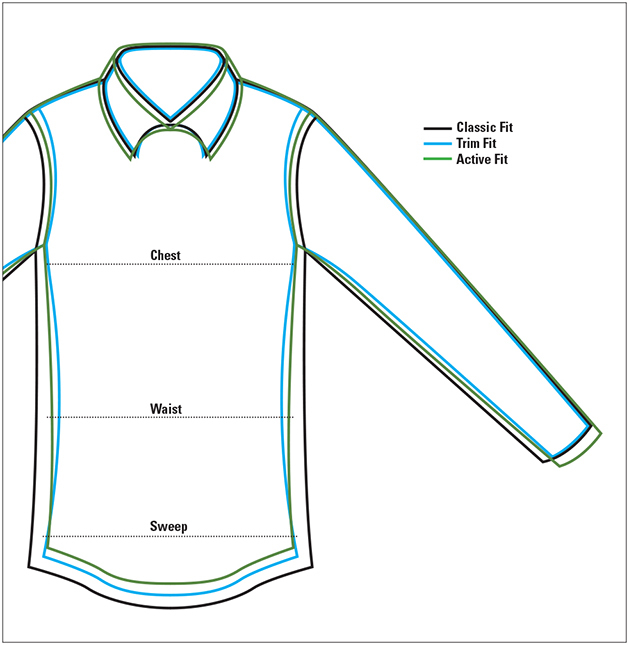 Hidden-button-down collar, adjustable cuffs, single chest pocket. In classic patterns appropriate for business or casual wear. Pure cotton. Washable. Imported. Tall sizes 2" longer in body and sleeve.